A simple card - that's what it's meant to be for Addicted to CAS Challenge - Watercolour this week. 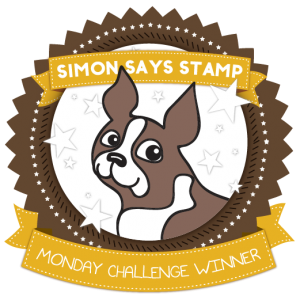 I just received some stamps from Viva Las Vegas Stamps - Yeah!! Loving these! What a fun card. 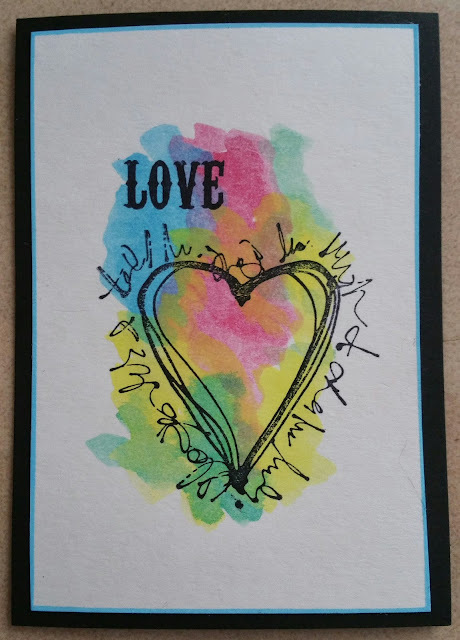 Your watercoloring just makes this a happy and fun card! Thanks for sharing at ATCAS! What a perfect image for what I call "rainbowing"!